Aqa Lite | William Aitken & Co.
Aqa Lite Flavoured Sparkling Water, is packed in a unique see-through can. 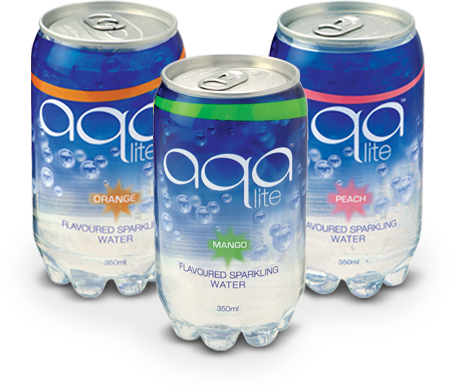 With 70% less sugar than many fruit-flavoured beverages or soft drinks, Aqa Lite provides consumers with a refreshing alternative to full-sugar drinks or flavourless bottled waters. A refreshing alternative to full-sugar drinks or flavourless bottled waters.